Experience the latest adventures of Hitsugi, Kohri, and Al with the new story events in today’s update. See the Bingo tab above for a guide on its objectives and rewards, and the Orders tab for a listing of Xie and Nagisa’s client orders. Continue to accumulate points for the PS Festa Web Panel Event by defeating certain bosses in the new Limited Quest and the Valentine EQ! Subdue Za Oodan must be cleared in order to access this quest. This quest will be available until March 9th. Client Orders will be available until March 9th. PS Festa 2016 Bingo II will be available until March 9th. Dio Hunar appearing in our latest Limited Quest will drop certain ★13 weapons based on your class on XH. This change will also apply if Dio Hunar is above a certain level in quests outside of our latest Limited Quest. This change is in effect only for the duration our latest Limited Quest is available. By the way, the Soro Suit Campaign is back for another round. 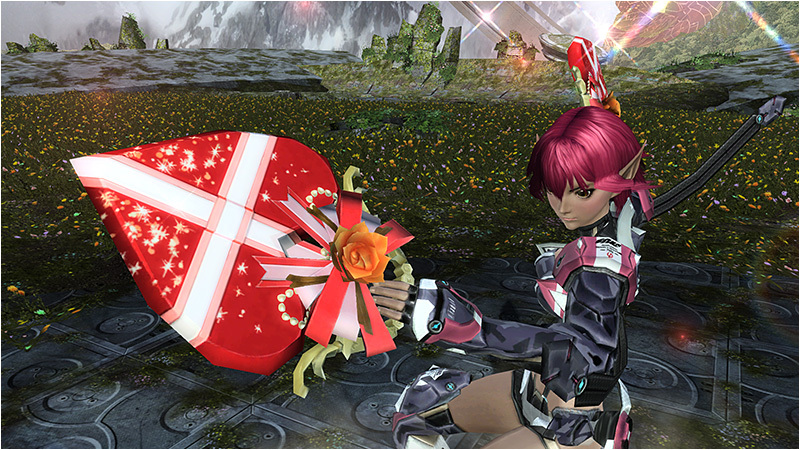 C-2 Clear a Featured Quest and receive a gift. ｢感謝祭の準備を始めるよ!｣ Preparing for Thanks Festa! Defeat [Nyau] by destroying its weapon. Giving Thanks Festa the Yellow Light!? One Step Away From Thanks Festa!? ※With only Nagisa in your party. 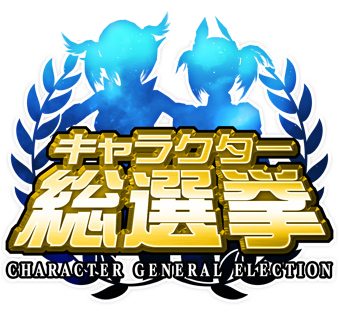 It’s time for yet another character general election! Each day you’ll get not one, but two chances to vote for your favorite characters in each division. The male, female, and enemy characters who win the election will have an item themed after them in a future update. You can vote up to 2 times a day per each division. That’s a total of 6 votes per day if you vote in all 3 divisions. You will not be able to vote for the same character twice. After casting your votes, you won’t be able to vote again until the clock strikes midnight in Japan. Press the light blue button next to the character portrait and press はい to submit your vote! Phantasy Star Online 2 is holding a collaboration campaign with World End Eclipse, a free-to-play RPG on smartphones and PC. Players who satisfy both conditions in each game will be rewarded with various items in their respective games. The player must have their Aigis (weapon) reach level 30+. 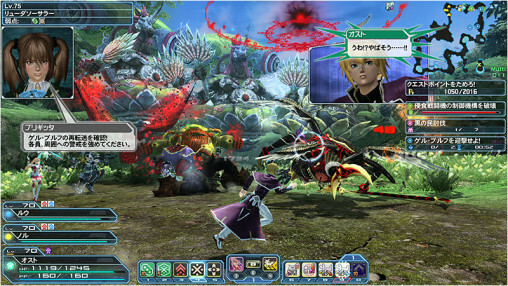 The player must reach level 30+ in any class. ※ Players who’ve satisfied these conditions prior to the start of the campaign period will also qualify for the prizes. ※ Use this link to register your SEGA ID for World End Eclipse. Click the big white 次へ (Next) button. Choose 男性 Male or 女性 Female and click (Next). ※ World End Eclipse may be downloaded by using this link to log in. ※ There’s currently an IP block on downloading the client. Mid March for each game. 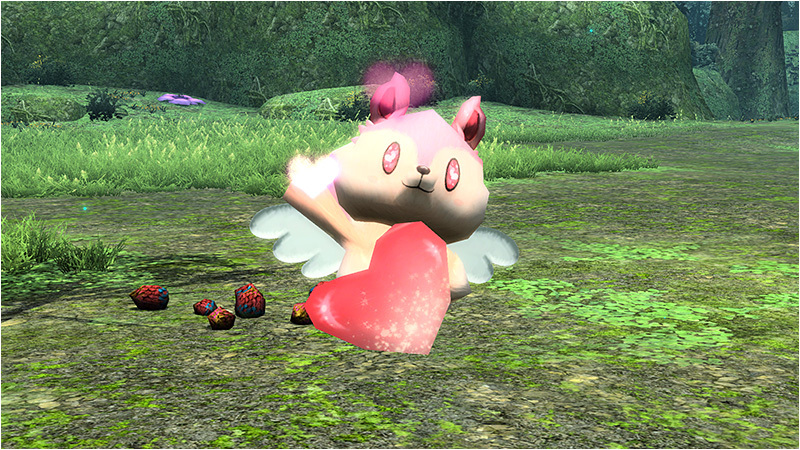 Players can receive presents for each question they answer correctly in the PSO2 The Animation Quiz! Questions will be announced both in-game and on Twitter each Saturday around 11:00 AM JST. 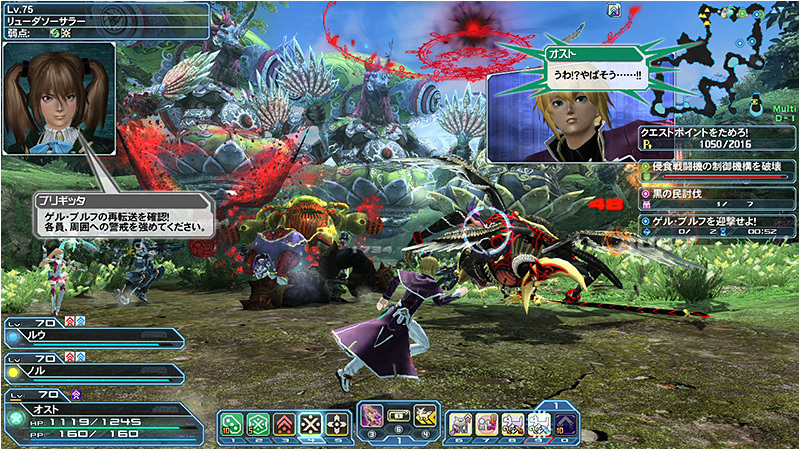 Players must say the answer to the question through the in-game chat. Players will receive a +100% Tribooster for each question they answer correctly. Questions will be announced each Saturday around 11:00 AM JST. Let’s say, for example, the answer to the question was [ARKS]. The next question will be announced on Saturdays around 11:00 AM JST. During upcoming maintenances after the answering period has ended. 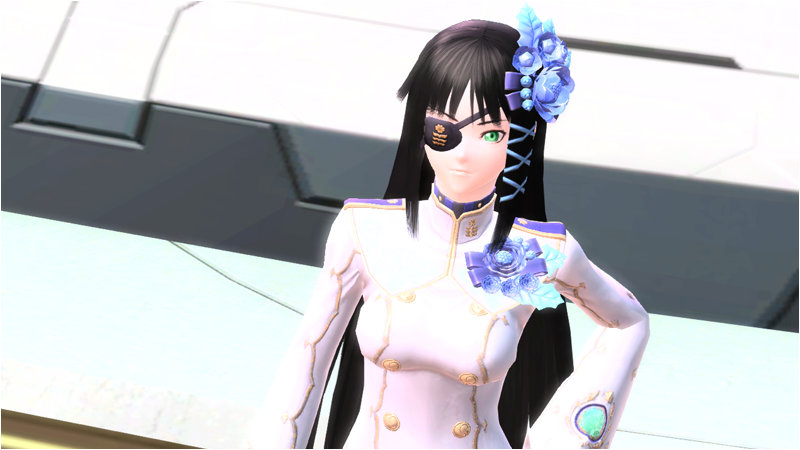 Progress through Episode 4’s Story Board to receive a set of clothing based on the PSO2 anime’s SORO character. 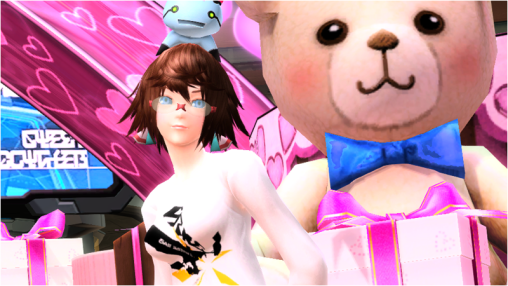 ※ Accounts which qualified for the previous Soro Suit Set Campaign will not be eligible for the prizes in this campaign. If you’re having trouble, make sure you clear Forest Exploration, Tokyo Exploration, and Caves Exploration. During upcoming maintenances after meeting the qualifications. Please allow them a few weeks to distribute the prizes. Certain AC Shop Items will be available at a discounted rate when purchased through the bundles listed below. ※Each item package is limited one per account. ※These item packages will be listed in yellow at the AC Shop! Abnormally advanced technological advancements have improved life on Earth through the work of the YMT Corporation making convenient APPs. 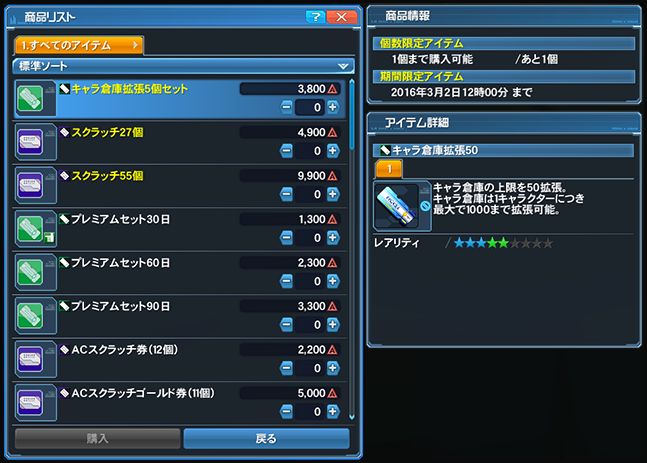 APPs look identical to features in PSO2. YMT president is a weapon and history geek. Specifically he is obsessed with BB Yamato. I can see where this is going and the overall future plot of the story. Sshh, if you spoil them before the new story translation patch out they can’t make baseless assumption again! Receive 2 votes per day from male and female category. I hope this time peoples vote to a chance of a cute little mag Dragon, i can vote to vol dragon and quartz dragon. Using a bit more of imagination, is same possible sega maybe create a pet based on boss winner. Well s/he’s already canonically cheating with time-travel shenaningans so comes with the territory I guess…? So, it seems we ned a VPN to download The World End Eclipse on PC? I don’t think anyone would be kind enough to extract the apk and upload it somewhere? Just grab a free proxy from here….